On behalf of the Board of Directors and the Sponsorship and Events Committee, BOMA Manitoba would like to express sincerest appreciation to its sponsors. As the organization continues to grow, the partnerships with its sponsors are vital to the success of the Association. 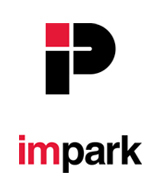 Impark (Imperial Parking Corporation) is one of the largest parking management companies in North America. The company began operations in Vancouver, BC, in 1962 with a single surface parking lot. The simple concept of paying attention to service, combined with a strong entrepreneurial drive, led to steady growth and expansion into the United States over the next 20 years. The 1990s saw branch offices established in all of Canada’s major cities – including the acquisition (at the time) of Canada’s largest parking company, CitiPark, in 1995. This move, and steady growth , has established Impark as the largest parking management firm in Canada, with over 75% of the market’s commercial business. GDI offers innovative cleaning techniques, best in class capabilities and unrivalled experience for the commercial buildings industry. With more than 85 years of experience, GDI is proud to offer superior technical services, energy management, disaster recovery, and event support services. The building environments GDI serves include office properties, shopping centres, industrial and institutional buildings, health care, education, airports, hotels, and much more.